Today, battery-electric cars are built in volume at only three locations across the entire United States. Tesla builds its three different electric models in Fremont, California; the new 2018 Nissan Leaf has just gone into production in Smyrna, Tennessee; and the Chevrolet Bolt EV is built at the Orion Assembly Plant in Michigan. Ford also builds very small numbers of its Focus Electric compliance car alongside gasoline Focus models in Wayne, Michigan. This month, Ford CEO Jim Hackett said the company's upcoming battery-electric crossover utility vehicle will not be built in Michigan, as previously announced, but in Mexico instead. Now, a new contender for electric-car production could boost Tennessee's prominence in the world of plug-in cars. That would be Volkswagen, which plans to build battery-electric cars for the region somewhere in North America. Last Saturday, industry trade journal Automotive News reported VW of North America had quietly placed ads for job openings involving electric-vehicle production on sites like LinkedIn. The location of those jobs? Volkswagen's factory in Chattanooga, Tennessee, which now builds the aging Passat mid-size sedan and the new 2018 Volkswagen Atlas three-row crossover utility vehicle. That plant has spare capacity, the article noted, and would be a likely candidate for assembly of an electric car to be sold in North America. 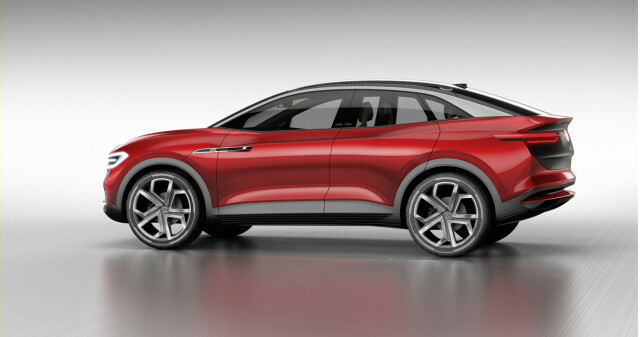 The company recently said its first EV sold in the U.S. will be the production version of the Volkswagen ID Crozz compact crossover utility. It's now clear that Volkswagen's MEB architecture—designed to underpin more than two dozen different vehicles—will become a high-volume platform starting in 2020 as VW moves decisively away from its tainted diesel past. How many electric cars VW could make and sell in North America starting two or three years from now, however, is anyone's guess. 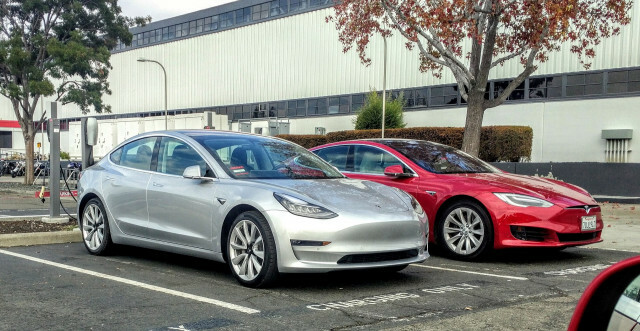 If Tesla succeeds in getting its Model 3 electric sedan into high-volume production, California is likely to remain the center of EV production in the U.S. for at least a few years. Tesla delivered 76,000 cars from its Fremont plant last year, and expects to sell more than 100,000 this year—but it has said it has 455,000 reservations for the Model 3. It had hoped to be building 5,000 electric cars a week by the end of this month, but the Model 3 appears to remain in "production hell," as CEO Elon Musk put it. With Ford ending electric-car production in Michigan when the current Focus Electric expires, GM will be left building Bolt EVs there—at a rate this year of perhaps 30,000 a year, possibly more next year. On the other hand, CEO Mary Barra recently said GM would introduce two new electric cars by 2020, one of them apparently a Bolt EV-based small crossover. Where they'll be built isn't known, but the only other vehicle built at Orion plant where the Bolt EV is assembled is the aging Sonic subcompact, whose sales have fallen steadily for several years. 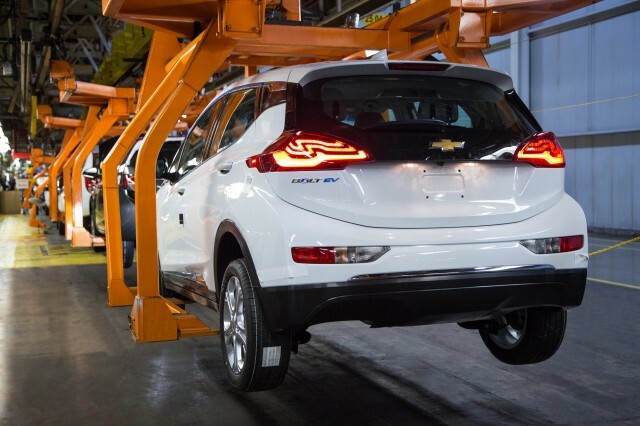 That makes the Orion plant a likely contender for at least one more EV from GM. 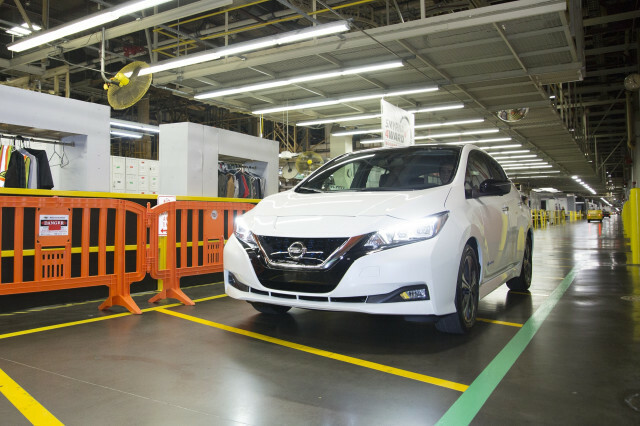 Meanwhile, Nissan has said it hopes sales of the second-generation Leaf will be double that of its predecessor, which would mean 40,000 to 60,000 a year in the U.S.
With VW adding production of the ID Crozz to the Tennessee total, it's not impossible that the Southern state could equal or top Michigan in EV production by 2020. Keep watching those monthly sales reports to see how it plays out over the next three to five years.